The Africa-wide Great Elephant Census of 2016 produced shocking findings: a decimated elephant population whose numbers were continuing to plummet. Elephants are killed, on average, every 15-20 minutes - a situation that will see the final demise of these intelligent, extraordinary animals in less than three decades. They are a species in crisis. This magnificent book offers chapters written by the most prominent people in the realm of conservation and wildlife, among them researchers, conservationists, film makers, criminologists, TV personalities and journalists. Photographs have been selected from among Africa’s best wildlife photographers, and the Foreword is provided by Prince William. 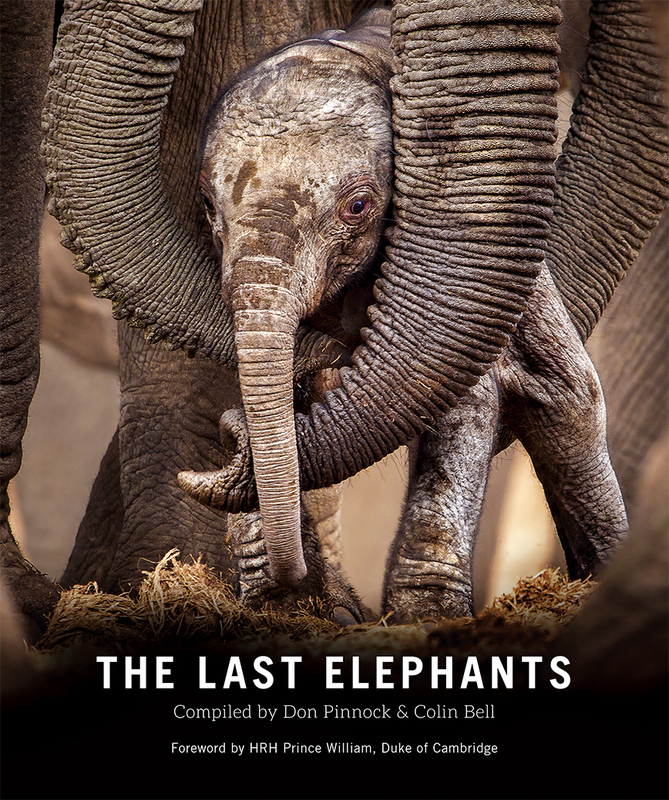 This book is also a tribute to the many people who work for the welfare of elephants, particularly those who risk their lives for wildlife each day, often for little or no pay – in particular the fi eld rangers and the anti-poaching teams; and to the many communities around Africa that have elected to work with elephants and not against them. The Last Elephants - is the title prophetic? We hope not, but the signs are worrying.